LET'S GET PHUC'D UP. PHUC YEA! VIETNAMESE made. CAJUN inspired. REPPING 305. Undoubtedly tongue in cheek, the word "Phuc" actually means "blessings and prosperity." Not only is “Phuc” the best word in the UrbanDictionary, but it actually means something positive - Phuc Yea! In 2011, Phuc Yea opened in downtown Miami as the city's first pop-up concept. Fueled by old school hip hop, graffiti and a love for life, Zapata and Meinhold's rendition of Vietnamese cuisine is deeply inspired by family recipes as well as the flavors of the Mekong, but fused with their personal experiences and cooking styles. The food is distinctly 'theirs', vibrant, bold and layered. Half Cajun, half Viet, this is not your classic Viet spot. It’s next level Viet-Cajun. Phuc Yea’s culinary inspiration is a melding of Meinhold’s ethnic heritage and Zapata’s culinary background. Ani, as Meinhold is known, is Vietnamese on her mother’s side and many of the classic recipes on the menu stem from family recipes and traditions. 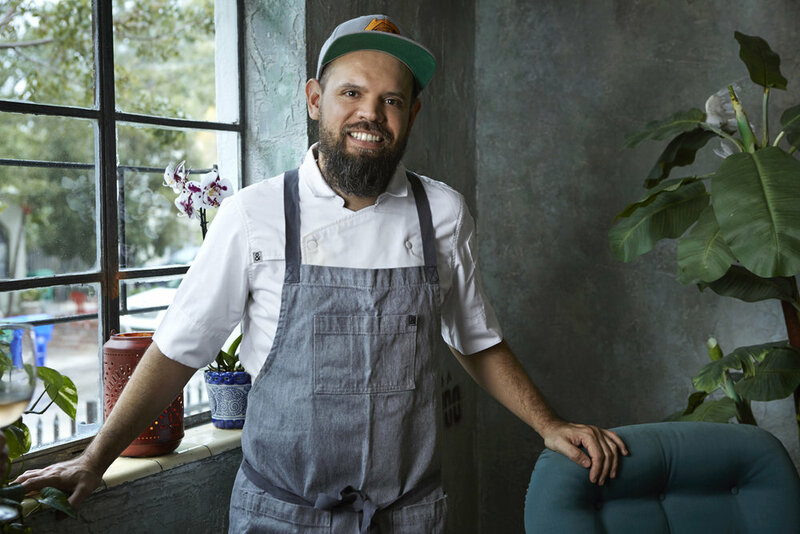 Chef Cesar spent his formative years along the Gulf having studied and cooked in Houston as well as having eaten his way through Galveston and beyond. Leave your expectations at the door. This is not your average Viet spot; we are 100% conceptual. Today, Phuc Yea has matured and found its brick-and-mortar home in the heart of Miami's MiMo district, an historically designated neighborhood famous for its Art Deco architectural style. Built in the former Sir Williams Hotel, Phuc yea sprawls the first level of the building. The space is separated into three areas, a more sophisticated setting offers a lush lobby lounge anchored by a 15' raw bar just at the main entrance of the space perfectly set for oysters and cocktails, speakeasy-esque dining room with private and semi private dining zones are located in the mezzanine level, and the Lantern Garden during the cooler months is in the rear patio. Decor is a combination of mid-century modern sleekness, street art and traditional Asian accents. The restaurant offers a lively mash up of fresh and colorful Vietnamese ingredients pumped up with spicy, bold Cajun flavors. This grown up version of Phuc Yea is largely seafood driven, however some of PY’s pop-up classics make a comeback on the menu. Offering a selection of shareable plates that capture the soulfulness and passion behind family-rooted recipes, the restaurant is inspired by Aniece Meinhold’s Vietnamese heritage and Cesar Zapata’s Third Coast culinary roots. Under one roof, guests are invited to marvel at Biscayne’s blossoming Mimo district; embrace ‘90s hip-hop, street-cool music; and enjoy Cesar’s version of Viet-Cajun cuisine.